If you have ever watched an expensive appliance, work of art, or shelf loaded with collector plates come crashing to the floor, then you are already aware of how being able to find studs in a wall can save you a bundle. Finding a stud hidden behind the wall finish in your home doesn’t have to be guess work thanks to the stud finder tool. But before you can even hope to find the stud, you will have to find the stud finder, which can be a challenge given the broad range of studs available. Our buyer’s guide is designed to help provide you with the main benefits of a stud finder and what features to look for when you are shopping for one. In addition, we will provide you with reviews of a number of stud finders so that you can compare how various models make use of the features we discussed in our buyer’s guide. Armed with the information provided in our buyer’s guide and the comparisons you make by making use of our stud finder reviews, you will be better informed to make a qualified buying decision when the time comes to purchase the stud which will best serve your needs and preferences. Why do you need a stud finder? As already mentioned, stud finders help you to find the location of studs behind whatever finish is on your wall. You might need to locate studs to understand their spacing to determine the stability of a particular wall, to firmly anchor photos or appliances on the wall, or to determine where to cut if you want to recess an item inside your wall without damaging the structure. What benefits can you expect from a stud finder? A stud finder will allow you to easily locate the location of the studs, joists or other support members inside your walls, ceilings or floors. Higher tech stud finders can be set to find either the center of studs or their edges. The benefits of electronic types for outweigh the old, magnetic types, though both will perform the basic function of locating these elusive structural members hidden in your walls, electronic types can also locate live wires, pvc, steel pipes and other items as well. What are some considerations to keep in mind when looking for a stud finder? • Magnetic Stud Finders. These are the original type of stud finder; many of them are nothing more than a magnet on a swivel inside a box and can be carried in the pocket of your jeans. These units find studs by locating nails or screws that were used to attach the finish material on your walls to the studs. Once you find two vertical points on a stud, you can draw a line to establish the centerline of the hidden stud. They require some guesswork and are little less than reliable at times. They work well at finding metal studs, but establishing where the edge or centerline of these studs is located still requires some guessing. • Electronic Stud Finders. This is a more accurate type of stud finder, which measures density inside the wall in order to locate the studs. These units can locate the exact edges of each stud. As long as you are scanning over drywall or paneling, you will have little trouble using these devices, but when it comes to the plaster walls used in older homes, you won’t have very good luck. • Radar Stud Finders. When it comes to a high-tech solution to finding the studs hidden in your walls, this is the device to go to. This unit utilizes radio energy pulses that detect various types of materials in the walls by the variation of the radar return it receives. 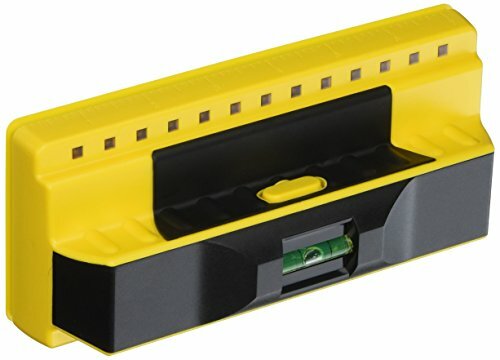 This type of stud finder not only finds studs but can also find conduit, live or dead wires, various types of pipes and just about every other object hidden in the space inside your wall. As you might have noticed while discussing the types of stud finders above, each was better equipped to handle various situations you might encounter. Another consideration to keep in mind when comparing various stud finders is the construction material you are going to be scanning. In most DIY projects, you are working with drywall on wood studs, but older homes or homes with special construction materials used in them might require a different approach. If you are looking for a stud finder for multiple projects, you are probably better off to go with a type that will function under a wider variety of circumstances. The affordability of a stud finder is usually in direct proportion to its level of technology and what it can accomplish for you. A pocket-sized magnetic stud finder is going to cost you pocket change. 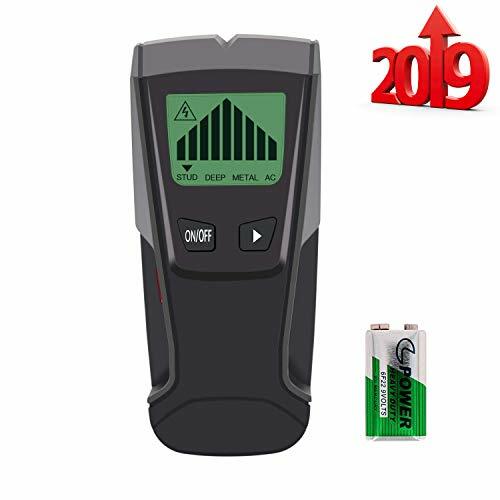 A radar type of stud finder is going to require a pretty sizeable investment and the various types of electronic stud finders on the market will be located somewhere between these two ranges of affordability. • Level and Plumb Indicator. This can help you to establish vertical and horizontal lines to remain level or plumb in relation to the position of the studs. Even some magnetic stud finders include this feature using a leveling bubble. • Laser Lines. Related to the above feature, this feature utilizes a laser to establish the lines for you. • Multiple Modes: This usually includes a deep mode for scanning walls up to 1 ½” thick. The stud scan will find wood or metal studs within a standard drywall finish. It will scan for any kind of metal pipe, bolts, rebar or whatever might be hiding in the wall on metal scan. On AC scan it will help to locate any live wires that might be hiding in there as well. • LCD Display. Some electronic stud finders use red, yellow and green lights to indicate centers, edges and no stud respectively, but an LCD display give you a much clearer reading. • Warning Indicators. This feature comes in handy when there are live wires or plumbing that you want to stay away from in the walls. This warning can be indicated using an audible, visual or combination of signals. Having worked your way through our buyer’s guide, you are better qualified to make an informed decision concerning what features and benefits you need to expect from the stud finder you need. The reviews that follow are a means of helping you to compare how these features are implemented into different models of stud finders in order to help you find the one that fits your needs best when it comes time to make your purchase. The Vivreal Stud Finder Wall Scanner – 3 in 1 Electric Multi Function Wall Detector includes 4 scanning modes to find anything and everything you might need to find inside your walls. It has both audible and LCD display warnings whenever you find something you need to be warned about. This unit uses a 9-volt battery for power, has an LCD display screen and automatic calibration. • You get good value for the price you pay with this unit. • You can detect studs and other objects through up to 1 ½” deep. • It includes live wire detection. • It has an easy to read LCD screen and has both audible and visual warnings and indicators. • This stud finder seems to have trouble with textured walls. • Its metal detection mode is a little less than up to par. You would like an affordable multi-function and multi-mode stud finder. This unit may be less than adequate when scanning for metals inside your wall. The Zircon StudSensor e50 Electronic Wall Scanner uses both normal and deep scan modes to locate studs or live wiring hiding inside your wall. This is an easy to use unit with a toggle switch for deep or normal scanning. You will receive both an audible and LCD display warning whenever you move away from the center of the located stud and come to its edge. It also detects and provides a warning if there are unshielded wires present near where you are scanning. 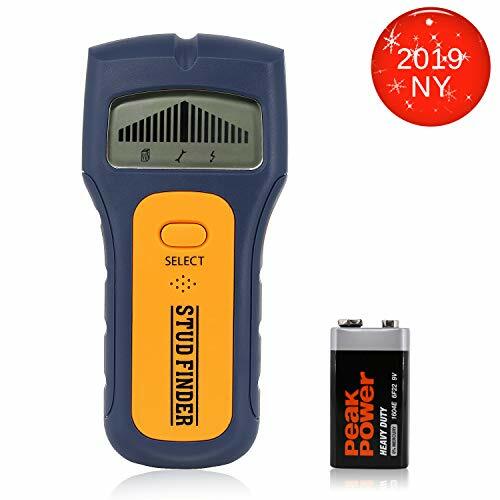 It uses a 9-volt alkaline battery, utilizes auto-calibration and provides you with a lit SpotLite Pointer at the top of the unit to easily mark your spot. • This unit is well-built and comes with the most important regular and deep modes. • It is easy to use and utilizes both audio and LCD visual displays and warnings. • It does not use up a lot of battery power. • You can easily mark your spot with the SpotLite Pointer. • The consistency of this unit seems to be somewhat questionable. • The audio warning on the edge-finder is annoying. You are looking for an affordable 2 mode/3 function stud finder for infrequent use. If you use a stud finger frequently, you might be less than pleased with this model. The Imoocare Stud Finder is a multifunctional stud and edge finder. It includes 3 in 1 detection for finding studs, pipes and other metal in walls and live wires. This unit is simple to use with only three buttons. It uses a large LCD digital display and has an auto-shut off feature for when the unit is not in use to safe battery life. It uses a single 9 volt battery for power and comes with a 12 month warranty. • This unit finds studs and edges and has an LCD graphic indicator for precise location. • This unit also locates metal object and live wires inside the wall you scan. • It has three button operation and is easy to use. • This unit might not work well with textured walls. • It leaves a little something to be desired when it comes to scanning a thicker wall. You want a simple to use and affordable stud finder for typical home use. This isn’t the best unit for professional or multipurpose use. This is another, more affordable stud finder from Imoocare. This unit also detects studs and their edges, pipes and other metals in the wall, and live wires. It is a great tool for DIY users because it is simple to use. It utilizes both audio and LCD simulation graphics to provide precision stud location. It includes an ergonomic handgrip for more comfortable use, auto-shutoff when not in use and a low battery indicator. It also uses a 9 volt battery and comes with a 12 month warranty. • This unit is small and easy to use as well as carry. • It does not use up a lot of batteries. • It includes a built-level. 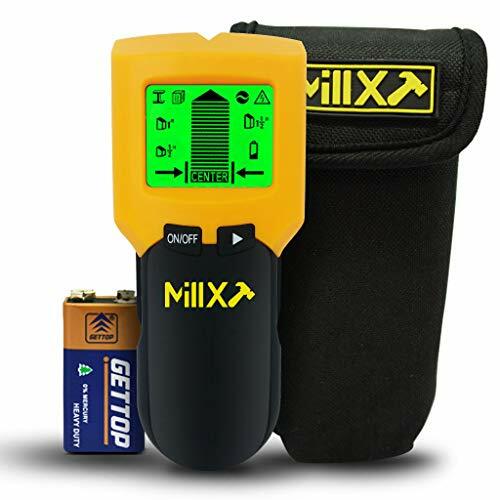 • This is a very affordable electronic stud finder. • This is a fairly weak and poorly constructed unit for frequent use. • It does not have much in the way of advanced features. You are a DIY user that only uses a stud finder infrequently and want an electronic type on a budget. If you are frequent user or pro, you will probably not like the lack of longevity and durability of this stud finder. Besides getting several tools in one unit, the Franklin Sensors FS710PROProSensor 710+ Professional Stud Finder is highly accurate, dependable and durable. Its operation could not be simpler and its results could not be more accurate. This unit comes with a built-in bubble leveler as well as a straight edge and ruler for quick and handy reference while you’re scanning. It offers deep scanning for thicker walls. It is compact enough to carry and use when you are on the job site and runs on two AA batteries. • Higher precision and a more reliable reading through thicker walls are built into this unit. • This stud finder has more durable design and construction for professional use. • It includes a bubble leveler and straight edge ruler for quick reference and proper marking. • The design of this stud finder is a little bit less than ergonomic. • This unit is a bit pricier than most. You want a professional grade stud finder with built-in level and don’t mind paying a little extra for higher quality construction. Those who are infrequent users will have a hard time justifying the price of this unit. You get two tools in one with the BLACK+DECKER BDL190S. This unit not only finds studs and live wires in your wall, but also has a self-leveling feature with a built-in laser for perfect horizontal alignment across the wall. It comes with an easy-to-read LCD display and is quick and easy to operate. It comes with a soft, ergonomic grip for greater comfort during use and operates on two AA batteries. • This stud finder has a more durable and ergonomic design and includes a higher tech laser leveling function. • Detects studs as well as live AC wires. • It includes intelligent and intuitive LCD display. • For its extra cost and high-tech features, it is pretty weak when it comes to scanning depth. • This stud finder is a bit pricey. You want a brand name stud finder with the addition of laser leveling and don’t mind paying extra for it. If you need to scan through more than ¾” thickness, then this stud finder is not going to cut it. Find stud centers with the Meterk Stud Sensor with Large LCD Display. This unit includes three-button functioning for easy use. It includes both a large LCD display as well as audio indicators to locate the exact center of studs. By switching modes, you can also search for metal or live wires inside the wall. This scanner operates on a 9 volt battery and is built ergonomically for easier use. 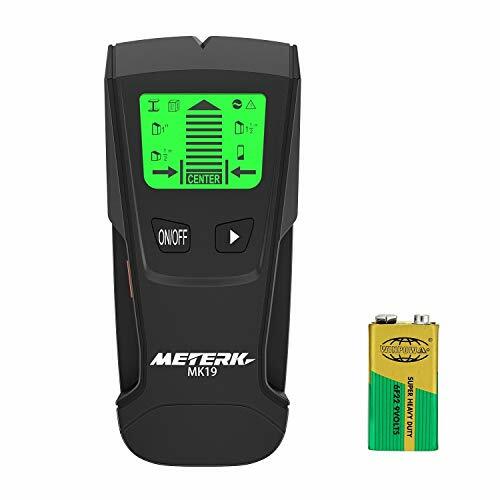 • This stud finder is compact and ergonomically designed for easier handling and carrying. • It utilizes both LCD display and audio indicators for locating stud centers as well as live wires and other metal object in your walls. • This stud finder is affordable and inexpensive to operate. • There aren’t a lot of advanced features on this stud finder. • Its build and design are bit too lightweight for professional use. You are an infrequent DIY user who just needs an affordable and accurate stud finder. Professionals will want a unit with a bit more durability and more advanced features. 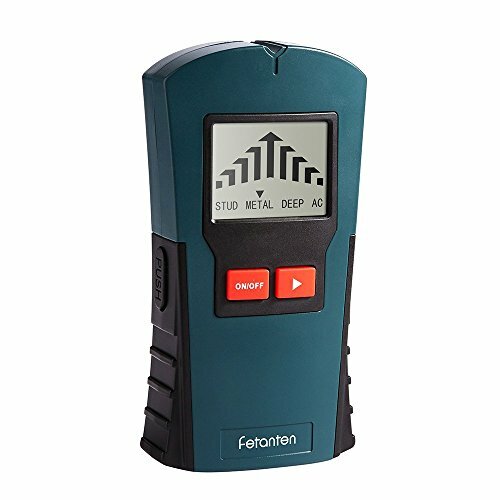 The Fetanten Stud Finder, Multi-Function Wall Stud Sensor Detector is a compact, simple and durable tool to have in your tool bag. It has a simple three button function for quick and easy use, is built to fit in your tool bag and to fit well in your hand. Besides detecting studs and displaying their precise location on an LCD display, this unit detects live wires and other metal objects inside your wall as well. It uses a 9 volt battery for power and is backed by a 12 month warranty. • This is a durable stud finder with a compact design for easy carrying and use. • It has simple three-button function with stud finding, metal scanning and live wire location. • You get a durable and competitively priced stud finder backed by a 12 month warranty. • This stud finder is a little bit too weak for thicker walls. • It is not very accurate when scanning for live wires. You are more interested in an affordable stud finder in a compact design and only use the other functions occasionally. Frequent, professional users will not be pleased with the performance of this stud finder. 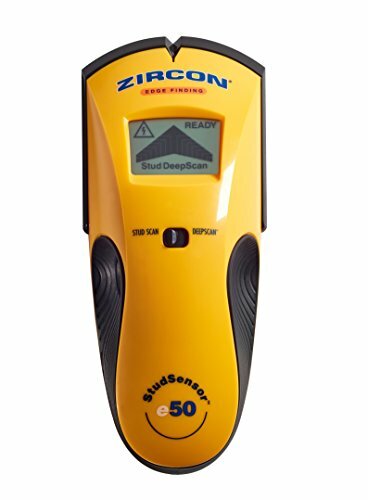 When it comes to getting your hands on a better built stud finder and wall scanner, you can hardly go wrong with the Zircon MultiScanner A250 Electronic Wall Scanner. This is a durable and well designed wall scanner with four-mode functionality available at the touch of a button. It has a soft, ergonomic grip for easy handling. Its LCD screen is very clear and large enough to see what you’re doing. This scanner includes auto correcting technology (ACT), which corrects common user errors while being used. It has automated recalibration, produces both an audible and visual signal for warnings, and operates on a 9 volt battery. • This unit has the design and durability professionals need on the job site. • Its stud detection is twice the depth of most at 1 ½”. • It has a clear and easy-to-read LCD display and is easy to operate. • Textured walls throw off its accuracy a bit. 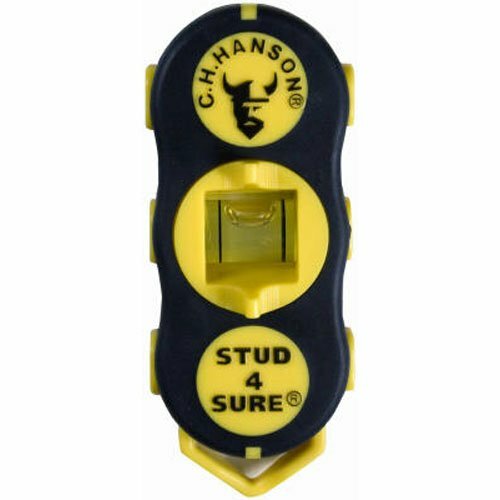 • This stud finder is at the upper end of the price ranges. You professionally designed, easy-to-use stud finder and don’t mind paying a bit more for it. If you are an infrequent user, you might find it difficult to justify the price of this unit. When it comes to magnetic type stud finders, it is hard to come up with one that is better than the CH Hanson 03040 Magnetic Stud Finder. This unit utilizes two powerful rare earth magnets to locate the precise location of screws or nails. It stays in place by itself so that you can mark your location hands-free. It requires no batteries and comes with two leveling bubbles for both level and plumb function. It will fit in your pocket or your tool bag and will continue working when electronic types give up the ghost. • This is an inexpensive unit with plenty of durability and dependability. • Once you find a stud, this unit can be left in place for hands-free marking. • No batteries or delicate electronics to worry about. • It might detect and lock onto conduit or rebar instead of metal or nails in studs. • It will not detect live wires or give any indication what metal it is locking onto. You prefer a more powerful, traditional magnetic stud finder over a delicate electronic one. 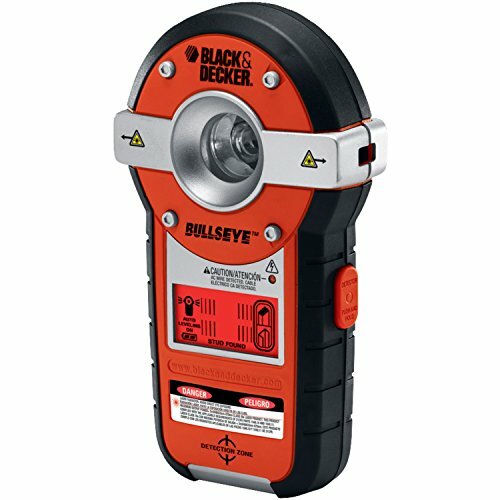 If you need live wire detection or other LCD indicators, this is not your stud finder.